(Nanowerk News) Denis Wirtz, Johns Hopkins University professor of chemical and biomolecular engineering and director of the Engineering in Oncology Center, has been named the Theophilus Halley Smoot Professor in the Whiting School of Engineering. University president Ronald J. Daniels and the Board of Trustees determined the recipient. Wirtz is the founding associate director of the Johns Hopkins Institute for NanoBioTechnology. He was recently named a 2009 fellow of the American Academy for the Advancement of Science in the Engineering Section for his contributions to cell micromechanics, cell adhesion, and for the development and application of particle tracking methods that probe the micromechanical properties of living cells. 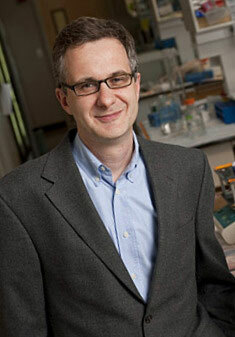 He is on the Editorial Boards of Biophysical Journal, Cell Adhesion and Migration and J. Nanomedicine. In 2005, he was named a fellow of the American Institute for Medical and Biological Engineering. Wirtz won the National Science Foundation Career Award in 1996 and the Whitaker Foundation Biomedical Engineering Foundation Award in 1997. Wirtz came to Johns Hopkins faculty in 1994 and completing a postdoctoral fellowship in Physics and Biophysics at ESPCI (ParisTech). Wirtz earned his PhD in Chemical Engineering from Stanford University in 1993. The Smoot Professorship was established in 1981 through the estate of Theophilus H. Smoot, who joined Johns Hopkins as a research assistant in the Department of Mechanical Engineering in 1942 and later a research associate in the department in 1946. Upon the passing of Mr. Smoot in 1976 and his widow, Helen A. Smoot in 1980, the Theophilus Halley Smoot Fund for Engineering Science was created. The first Smoot Professorship was awarded in 1981 to Stanley Corrsin, a professor and former chair in the department of mechanical engineering. Robert E. Green, Jr., professor in the department of materials science, held the professorship from 1988 through 2007. Presentation of the Smoot professorship will occur in the spring.